The new season of Vikings is almost out! Actress Georgia Hirst, who plays Shield Maiden Torvi, recently wore the Felice Dahl Första Pendant Necklace and Ear Cuff while promoting the show. 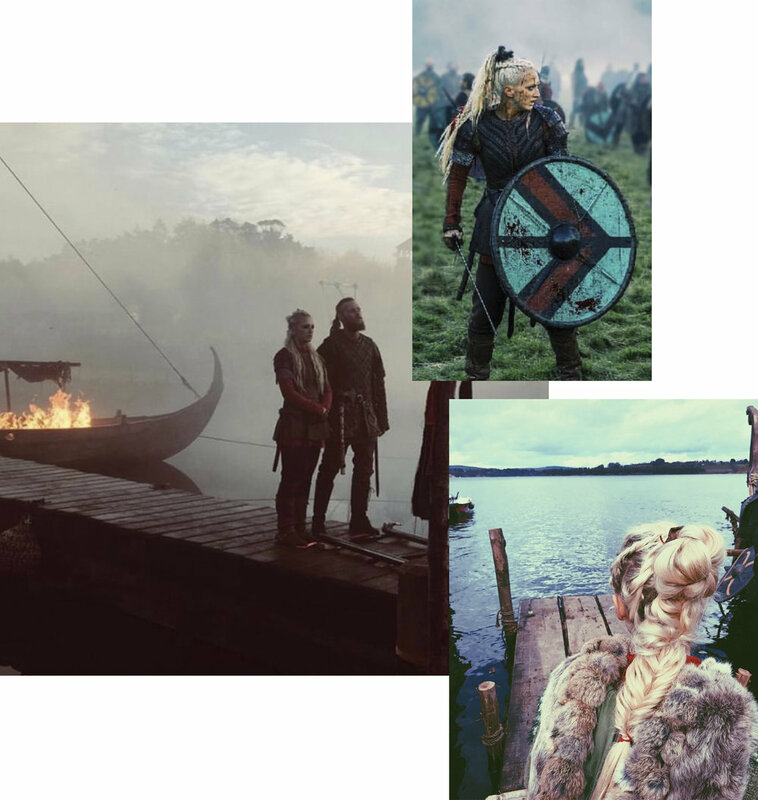 Thanks to Gee Hirst and History Channel's Vikings for the images. Because Freja Wewer always styles FD gold her own way! Check out how she mixed her Första Pendant Necklace with a white tee, trench coat and cool-girl hat. Would you wear it like this too? The lovely London Swede Tara Samvi got together with photographer Michelle Äärlaht to shoot the newest Felice Dahl Skärgård jewellery. Mixing the collection with a Scandi-feel structured skirt with visible seams, and a soft printed top, Tara styled a romantic look for any professional lady.